We understand that your demand for long-haul trailer tires are more than jsut fuel-efficiency-you need tires that will stand up to the punishment common to deliveries in the real world. In today's ultra-competitive landscape, only the most fuel-efficient trailer tires will keep you ahead of the competition. The Yokohama 104ZR™ long tread life, greater retreadability and provides better fuel efficiency—to keep your costs low. The Yokohama 104ZR™ Spec-2 is equipped with Yokohama’s latest technology to be a true workhorse that is ideal for coach and regional/long-haul tour bus applications. 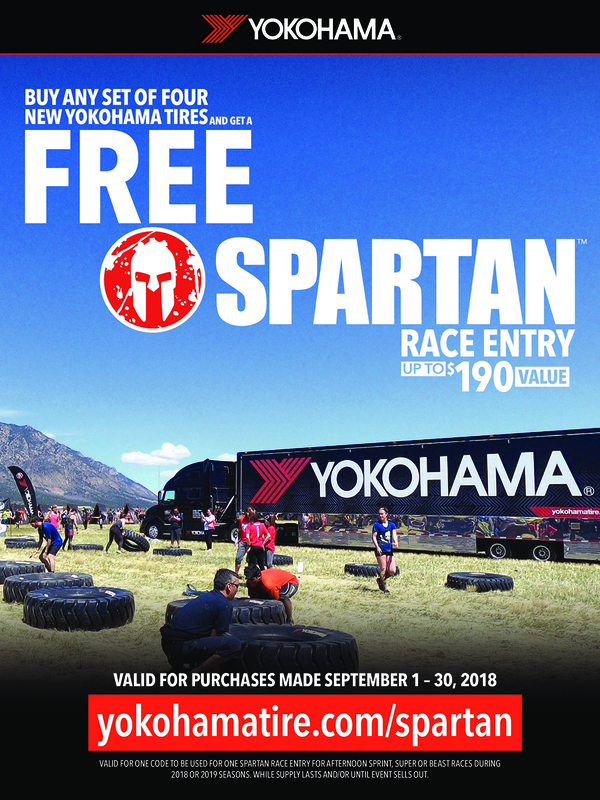 The Yokohama 108R™ is a hard working regional tire, delivering an unmatched combination of longevity and durability. The Yokohama 709ZL™ delivers the optimal balance of fuel-efficiency, enhanced traction, and increased mileage–and it is backed by a 7-year warranty and unlimited retreads. Yokohama knows that when it comes to designing long-haul tires, it's not just durability you're looking for, it's also top-tier fuel efficiency. That's why we built the all-new 712L: a fuel-efficient, deeptread drive tire that delivers even tread wear and extended service life. The Yokohama 902L™ features innovative tread design that provides maximum traction and even weight distribution for stable tread wear. The BluEarth® 709L UWB is our first drive tire to earn the prestigious BluEarth® badge by meeting our strict criteria for maximum fuel-efficiency and performance. The Yokohama LY053™ delivers aggressive lug design, outstanding traction and good mileage, making it a strong choice for on-and-off road surfaces. The Yokohama MY507™ delivers incredible overall tread life mileage, improved retreadability, and longer overall casing life. The Yokohama MY627W™ Spec-2 is one seriously heavy-duty tire that’s made to defy the rigors of daily use. It offers extreme long lasting protection with advanced casing design and enhanced tread pattern. Features a 6-year warranty with unlimited retreads. The Yokohama RY023™ delivers high performance and durability under the toughest regional and in-city conditions. The sidewall abrasion guard helps avoid damage to the sidewall caused by curbing. The Yokohama RY103™ features a straight five rib design for improved handling and superior traction in wet and dry conditions. The Yokohama RY215™ is designed for longer tread life and greater durability while achieving great handling in wet weather. The Yokohama RY253™ delivers lower initial cost, good fuel efficiency as well as superior performance and durability. The Yokohama RY407 UWB™ features technological advances that allows better fuel economy and increases its retreadability. The Yokohama RY587™ delivers the latest technology to save fuel costs and tire costs for long haul trucking fleets. The Yokohama SY767™ is built to get great mileage and long tread life in all road conditions and every season. The Yokohama TY025™ delivers long tread life, improved tread durability and lower rolling resistance—to keep your costs low. The Yokohama TY213A™ features long tread life, great wet weather handling and good durability. The Yokohama TY287™ is designed for long, even wear and increased wet and dry traction. The Yokohama TY303A™ delivers long tread life, good fuel efficiency, outstanding traction on snow and mud and excellent durability. The Yokohama TY517™ delivers maximum power, great traction, long even wear and superior durability. The Yokohama TY517™ MC2 delivers maximum power, long even wear and superior durability while reducing fuel costs. The Yokohama TY527™ delivers supreme performance, reduced rolling resistance and long life to save costs for fleets over the long haul. MC² technology meets ultra-deep tread depth in the all-new TY577™ MC². The Yokohama Y735B™ delivers long tread life and improved traction in snow and mud. The Yokohama Y742S™ delivers high mileage and great traction in the most severe weather conditions. The Yokohama Y788R™ delivers an impressive five rib wide shoulder to increase treadlife as well as overall handling and stability.